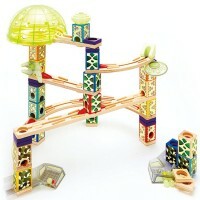 Faster, twistier, amazier, and cooler construction fun - that's what building the Vertigo 134 pcs marble run is! Versatile Vertigo goes vertical as you build this super marble run! 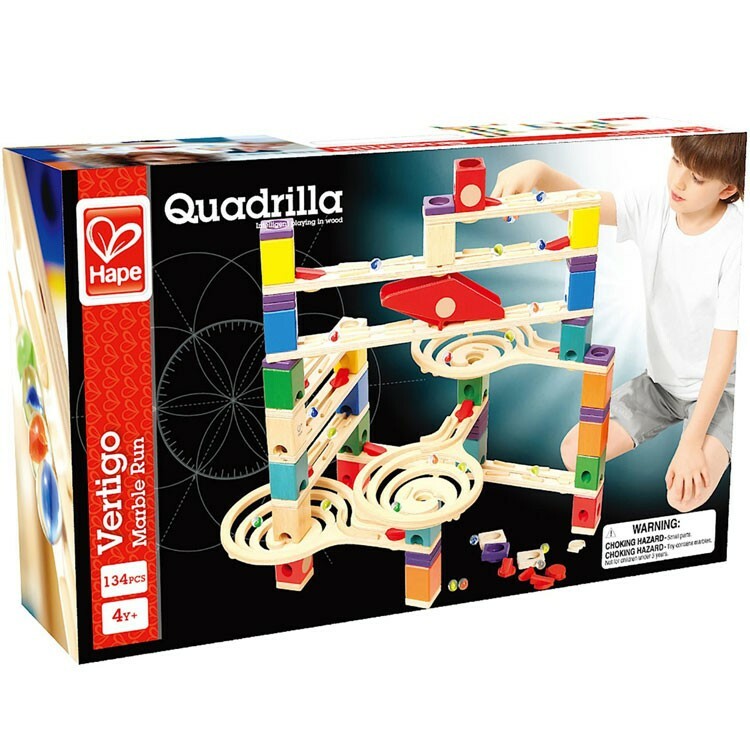 Vertigo Quadrilla 134 pc Wooden Marble Run features Hape's famous toy quality, premium wood material, and kids-friendly sophisticated design. 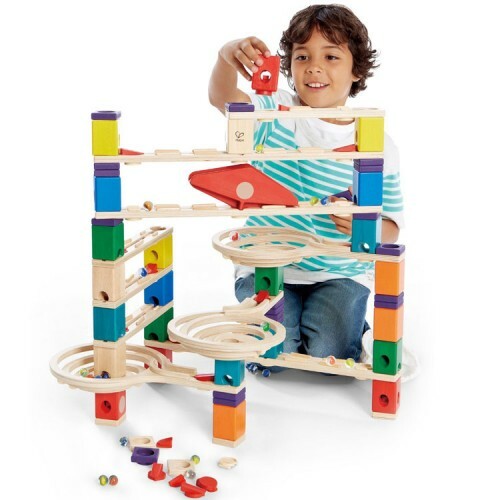 This wooden marble run building set comes with 134 pieces to create the rollercoaster of speed for the enclosed glass marbles and rollercoaster of building fun for your child. 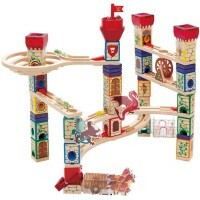 This bestselling Quadrilla marble run features 3 twisting tunnels for a twirly-wirly marble ride. 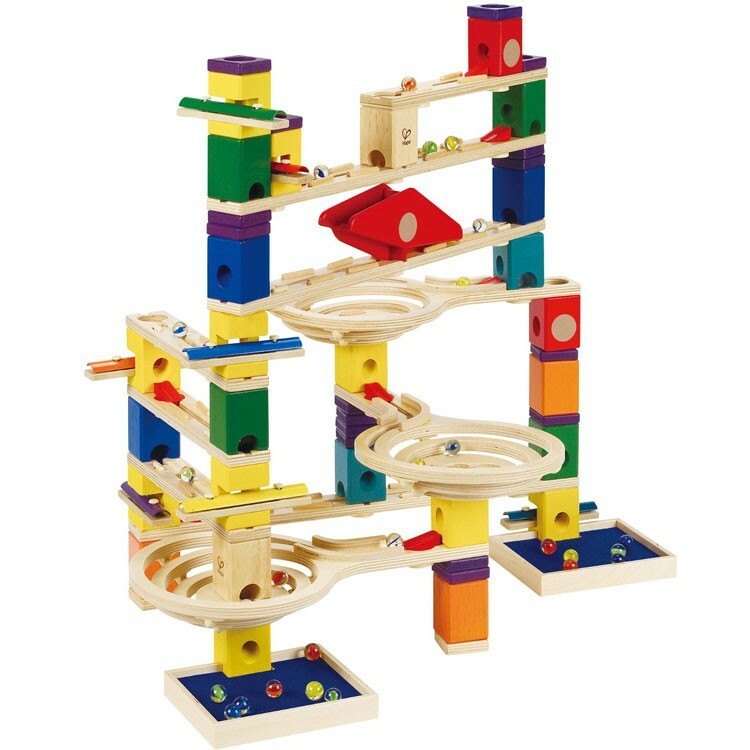 Use the building ideas from the included instructions or your own imagination and engineering vision to build different marble rollercoaster constructions with this Vertigo wooden building set from Educational Toys Planet. 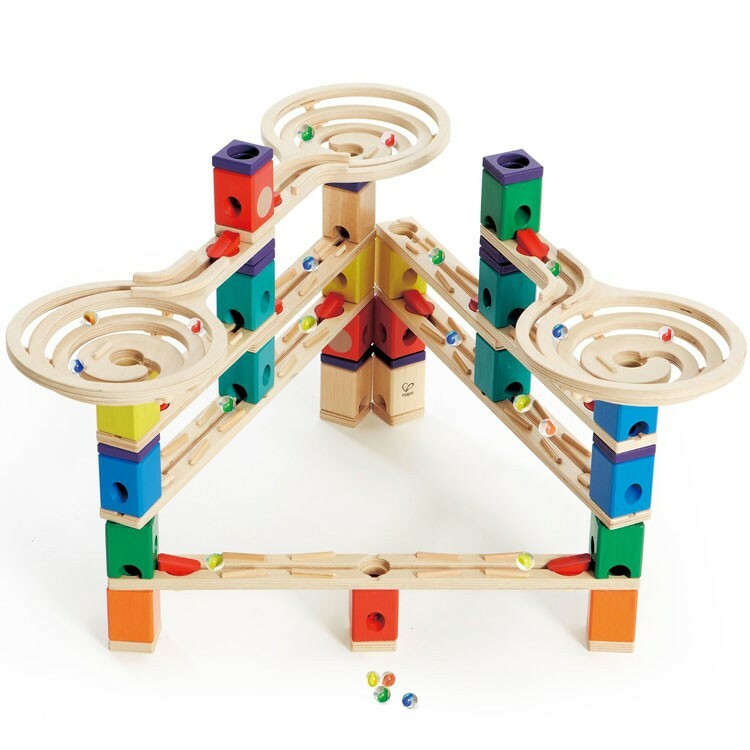 The Vertigo Quadrilla 134 pc Wooden Marble Run comes with the wooden spirals, curves, straightaways, a seesaw, and more to create the speedy marble run. 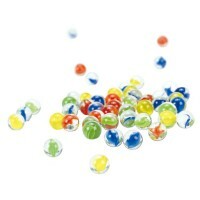 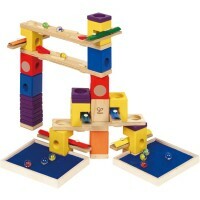 The Vertigo marble run is compatible with other Quadrilla building sets from Educational Toys Planet. 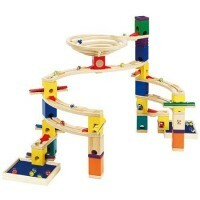 Dimensions of package 13.39" x 21.34" x 5.43"
Write your own review of Vertigo Quadrilla 134 pc Wooden Marble Run. 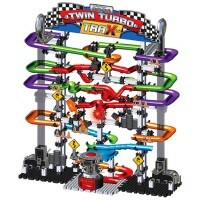 Rating: 4 Awesome by j stell I have to admit I spend as much time trying to build the 'best track ever' as my 8-yr-old does figuring out his own layouts. 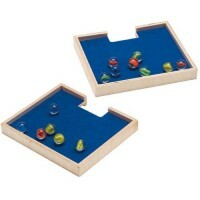 Combined with another Quadrilla set I've made a track that's as tall as him and my 6-yr-old has to tippy-toe to drop the marbles in the top run.